Are you totally confused or lost with the horse project? Please contact Carrie Williams, the Horse Project Co-President, 608.843.4837 or 608-592-4837 or by email at gcwill77@yahoo.com. She can help you or find a mentor family who can be available to aid you in the project. Don’t feel alone as we have all been new, lost and confused. We will help you all we can!!!! 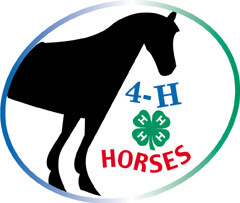 For all those planning to showing a horse at the fair, CCHP (Columbia County Horse Project) is a chartered group under Columbia County 4H Youth Development. We have officers and hold general meetings, clinics, shows and fundraisers. Please review the checklist above! To show at the fair you must be a member in good standing with CCHP. 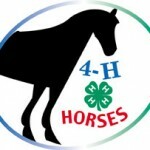 For all those planning to showing a horse at the fair, CCHP (Columbia County Horse Project) is a chartered group under Columbia County 4H Youth Development. We have officers and hold general meetings, clinics, shows and fundraisers. To show a horse at the fair you must be a member in good standing with CCHP. Any inside exhibits such as model horse, educational displays and horse clothing are exempt from the following requirements. – Attend 1 general meeting, except grade 13 members are excluded. January through April meetings are the 3rd Tuesday of the month in the Poynette Middle School at 6:30pm. May and June meetings are usually held during lunch break at a clinic. Each member must put in 4 hours, max of 6 hours per family, (2 or more members in a family), of volunteer time. Any family member or friend can do the required time. Volunteer opportunities are working at one of the shows. There are up to 22 slots to fill at each show, most are 2 hours in length, some are 4. We host 3 shows usually, the team fundraiser show, pleasure show and speed day at the fair. – May 1st paperwork deadline May 1 or at MY first clinic Hand in a current negative coggins and horse ID form for up to 6 horses, a signed Code of Conduct and liability release form. All paperwork MUST be handed in on the last clinic on the schedule. Members may replace an ID project horse up to July 15. See guidelines for details. – Attend 2 clinics, 1 with a horse. Members must attend 2 CCHP sponsored clinics. See bylaws for definition of participation. We are financially self sufficient with the exception of the model horse show, clothing and educational displays at the Columbia County Fair. The fair pays for the judge and ribbons for those. CCHP pays for all other judges, awards, clinicians and fees related to the horse projects. Hardship sponsorships are available. Each family should sell 10 raffle tickets. Once you have possession of your allotted tickets, you are financially responsible to CCHP for $100. Lost tickets must be paid for and may not be replaced. – Each family is asked to serve on a committee. It’s a lot easier if we all share the work. Here are the choices: fundraising, show, awards, volunteer, building and grounds. Any families wanting a mentor to help you through the requirements….just ask! CCHP does run a highpoint system for attendance at meetings, special events and clinics. Awards are given at the banquet in November. Each member/family is responsible for signing in at meetings and volunteering to receive credit.